We wholesale felt shoes from Nepal in assorted colors. It is made by 100% sheep wool. 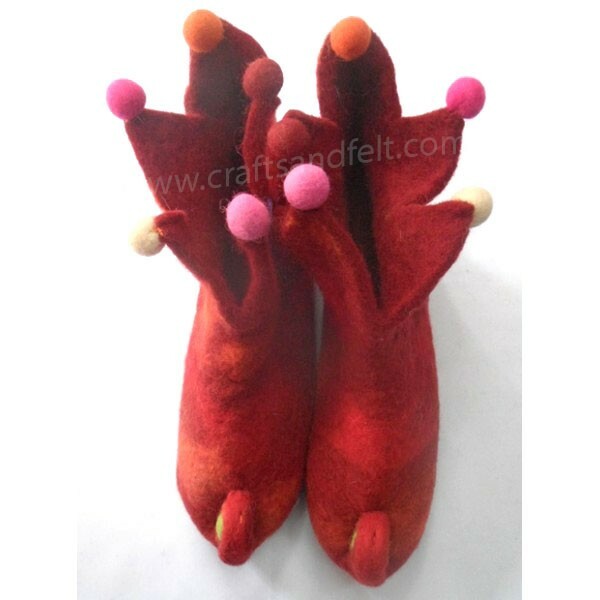 This felt shoes can be used for both indoor and outdoor use.This shoes is available in different colors for wholesale.